To own a home in Canada could be your biggest investment decision and hence you may consider all aspects of home ownership. You would look for protection against most types of risks that could damage your home and contents. Home insurance gives you this protection against any sudden mishaps, disasters or damages. Hence, you do not have to suffer a huge financial setback if the damage was due to an insured peril. When you suffer a damage to your home, it is an emotionally stressful time due to the loss. You may not be able to live in your damaged home but with adequate home insurance, you may feel reassured and be back to normal. 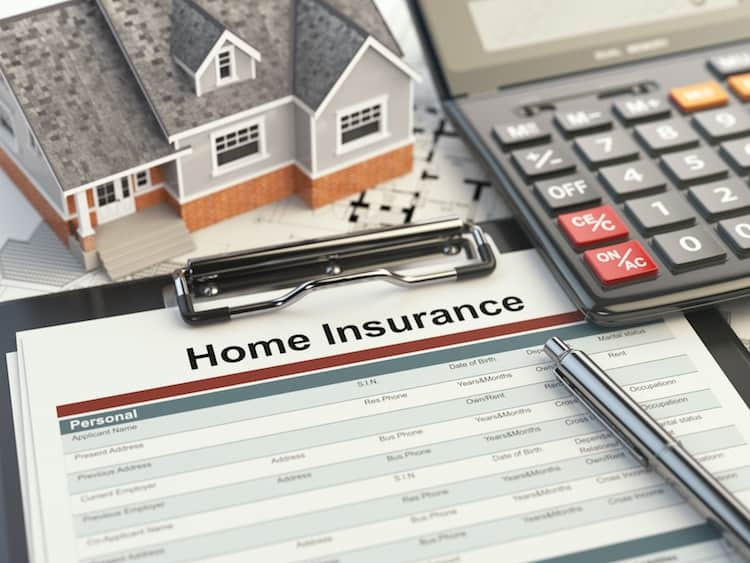 In Canada, it is not mandated by the law to purchase home insurance. Nonetheless, it has become a necessity that gives you peace of mind if anything happened to your home. Most mortgage lenders or banks may also insist that you buy home insurance. It does not matter whether your home is new or old, it could be prone to damages due to disasters such as fire, vandalism etc. Along with home ownership, you are also responsible for the periodic maintenance and upkeep of your home to prevent any claim denial due to wear and tear. 2 Should Home Insurance Include Land Value? Home insurance in Canada covers the main property (floors, windows, walls, doors) the outbuildings, fences, contents and personal liability. The personal liability is for you, your partner/spouse and children under 18 years (age limit may vary as per insurer). It may also cover other dependents who are students aged less than 21 years. These dependents may be living with you or attend school and live with you occasionally. You are covered for liability when a third party gets injured on your property premise or you accidentally injure or damage someone else. Such an injury could be an expensive lawsuit if that person sued you in court for the damages. The personal liability is typically up to $1 million or $2 million in coverage limit. You may also claim for alternative living expenses when your home is uninhabitable and is being repaired for an insured loss. If you are a landlord, you may also claim for lost rental income. Your home insurance contents coverage may include your personal belongings such as clothes, appliances, electronic gadgets, furniture etc. Certain high valued items such as fur, art, jewelry, antique collection etc. may need a special endorsement with specific limits. It is recommended to keep an updated inventory of your possessions and know the correct replacement value of your home and contents. Fire, explosion, lightning, falling objects, riot, water, smoke, aircraft or land vehicle impact. Hail, theft, vandalism, windstorm, electricity, personal property transportation, accidental breakage of glass or collapse due to the weight of ice, snow or sleet. Should Home Insurance Include Land Value? No. When you purchase home insurance you may get coverage for its rebuilding cost only and it does not include the land’s value. If your home is damaged you may claim for rebuilding it on the same land or a different location. Your home rebuilding cost is not the same as the market value, purchase price of your home or land cost. Most home insurances would have a list of exclusions that may be listed in your policy document. If you rent out, sublet or share your primary residence then such seasonal, full-time or temporary rentals may be excluded. When you conduct a business or store business merchandise in your home then you may have to ensure that it is not excluded. During the period that your home remains vacant (especially winter), any burst pipes or such damages may not be covered if you did not notify your insurance company. Your lawn and the property of those who live with you but are not your relatives may not be covered. The only exception to this could be if you had declared them as legal dependents. It is vital to know that home insurances in Canada do not cover property taxes, condo fees, land, and mortgage payments. If there is a plumbing leak that happens accidentally or suddenly then your home insurance may cover that damage. However, if the plumbing is damaged or leaking over a period of time then it is gradual water damage which is not covered. When there is a plumbing issue then it is the homeowner’s responsibility to take care of its maintenance to stop further damage. Such damage is preventable and if your home is vacant for more than 4 days then you may have to arrange to drain and stop freezing of plumbing. You may also have to arrange for someone to do a daily check for any signs of plumbing issues. 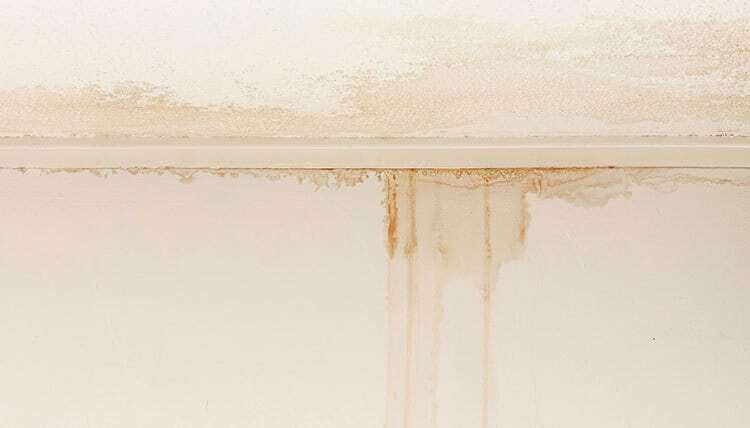 If you smell some dampness in your home then it is a good idea to find out the source. Most likely if the dampness is caused by seepage or water leakage then it is considered gradual damage. This happens mostly when the home is not maintained properly or the property had been vacant too long without any checks. Any dampness of the floor or walls most often does not happen overnight. Hence it is not a sudden event that is insured by most home insurance policies. Most home insurances do not cover damage due to mold growth as it is caused due to poor maintenance and lack of care. Mold damage due to long-term neglect that damages your home may not be covered by home insurance. If you notice that your roof has been leaking for a while, you may not ignore it as roof leaks due to negligence may not be covered by home insurance. Unless the roof leak is not due to poor maintenance then some home insurance may pay up to 25% of the depreciated value. Claims for roofs that are near their service end life may not yield much recovery and leaks due to wear and tear are not covered. You may ensure the gutter is clear for proper water run off to avoid roof leakages. An unattended roof leak may develop into more serious damage of other areas if you do not take care. Your home insurance may not cover issues to foundation due to faulty workmanship. Whether your claim for foundation issues are covered by home insurance depends on how the damage happened. If an insured risk damages your home and thus requires rebuilding of foundation then it may be covered by your home insurance. Or, if the foundation problem is due to a sudden event such as explosion or fire then that may also be covered. If your home is damaged by water that suddenly or accidentally escapes from a domestic appliance or indoor plumbing then it might be covered. Or the water damage may be from a water main or heating appliance in the home premises. The domestic appliances may include sprinklers or air conditioning units, indoor or outdoor. Again, if this water damage happens over a period of time and you ignored it then that may not be covered. However, if water damage is caused by seepage or flood then it might not be covered by home insurance. AC units are considered part of the home contents or fixtures and hence are covered by home insurance if they are stolen or damaged. However, you may not claim for repairing or replacing it due to wear and tear damage. Most home insurance policies would cover mobile phones up to a certain limit. However, when you consider paying the deductible then you may think again about claiming. Also, your home insurance premiums may increase due to a claim that may not be worth the cost of the phone in the long run. Home insurance covers theft in most cases. It is also recommended to inform the police about the incident especially if the value of stolen goods is significant. To make a theft claim you may also produce a list of stolen goods with their estimates. You may keep a copy of the receipts or any proof of possession such as bills, warranty cards, and appraisals. It is a good idea to keep photographs or video recordings of your personal possessions for insurance purposes. However, if there is any theft from your home during construction then it may not be covered under your home insurance. No. When there is a crack in your foundation, it may have been caused by an escape of water, faulty workmanship, wear and tear, seepage or due to a window casing. Typically a foundation crack is not covered by home insurance as it is the main structure of the home and a huge financial risk to the insurer. Yes. Most home insurance policies cover damage due to fire that is sudden such as a forest fire. However, if the fire was caused by intentionally applying heat then it may not be covered. An example of this would be if you leave your clothes in the dryer unattended and that catches fire then it might not be covered. But if that fire spread to the other parts of the room then that collateral damage may be covered. Furnaces are considered part of your home contents fixtures and may be covered for a damage or theft. Also, if the furnace is damaged due to an insured risk then that would be covered too. However, your home insurance may not cover furnaces for repair or replacement due to wear and tear damage. Any oil spills from furnaces could cause considerable damage and this would not be covered since it is due to poor care. Furnace steel tanks may be replaced once in 20 years to avoid spills due to damaged tubes and pipes. Most natural disasters that cause damage to the home and its contents, as well as subsequent additional living expenses, are also covered. These may include windstorm, lightning, tornado, forest fire, hailstorm etc. but any damage to antennas, satellite dishes may not be covered. When your food is spoiled due to a power failure caused by storms or tornadoes then you may claim up to $1000. However, most home insurances may not cover damages caused by floods and earthquakes. You may have to buy a separate policy to cover those perils. The fine print in the exclusion list may need to be carefully read to avoid any nasty surprises. For example, if an ice storm causes a power surge causes burst pipes then such damage may be covered only if the home was occupied by the owner. No. Most insurance claims for arson are denied on grounds that they are intentional or preplanned. There are a number of arson claims that has plagued the insurance industry with significant risk financially. In most cases, the claim adjusters conclude that the arson was committed with the homeowner’s involvement for a huge claim. If the fire was set by a third party and the homeowner was not involved in it or was unaware of such a plan then the insurer may consider the claim. It is very important as to who committed arson and if that person is in anyway related to the homeowner then that may not favor the claim. Yes. Fortunately, if you have theft from your car that is parked in your driveway or garage you may claim for the loss under home insurance. You may inform the police and then decide whether to claim under your home insurance or car insurance. Any essential items that are not vital to the car operation or physically attached may be claimed under home insurance. Examples of this would include cameras, laptops etc. Whereas, items such as bike racks or stereo system may not be covered under home insurance. You may claim for those items under your car insurance since that would cover seasonal items, permanent car fixtures or items temporarily removed from the car. Most homes in Canada that were built before 1990 may contain asbestos in the drywall, insulation or around pipes and boilers. But then, the hazardous effects of asbestos on health were not known. However, now most of us well aware of the health hazards due to exposure to asbestos. You may discover that your old home has asbestos while doing a renovation work. Now, it is your responsibility to follow the regulated protocol for asbestos removal. You may not do it yourself and need to approach a specialist for asbestos removal. Asbestos removal can prove to be quite costly and your home insurer may not cover those expenses. Even mortgage companies are wary of financing a home that has asbestos materials and may ask for a clearance letter. However, if there is damage due to the asbestos in your home then some insurers may cover that damage. A fence is considered as an extension of your home and will be covered by your home insurance policy. However, if your fence is falling apart due to poor maintenance then the repair cost may not be covered. Any damage to fence caused due to wear and tear is excluded from your home insurance policy. A wedding ring may be an important asset for you in terms of financial and emotional value. If the wedding ring is a high-value item then it might not be covered by your home insurance. You may have to get a special coverage for that wedding ring as a classified item. So that you know that you are adequately covered if something happened to that ring. Under your home insurance, there is a specific limit per item that may not justify the value of your ring. Any jewelry item that is high valued may be appraised periodically to know the estimated cost of replacement. This change in value may need to be updated with the insurance company to reflect on your coverage. A separate cover for your wedding ring may seem expensive. But when you suffer a loss, you may be able to claim for it. There have been instances of insurance fraud where homeowners have fabricated jewelry losses for a claim. Such a fraud is a criminal offense. It may not take a great deal of time before the claims adjuster finds out the truth. Then you may pay a hefty fine, get imprisoned and also be left without any coverage.